Home > Uncategorized	> Blocked drains – road/pavement flooding? Blocked drains – road/pavement flooding? Although we have had quite a bit of rain recently this particular drain at the junction of Ellerton and Ditton Road seems to flood more often than most. It not only floods the road but a large section of the pavement. The reason for this latest flood was compacted leaves blocking the drain grating. It has been reoported to the council. The Council’s contractor is scheduled to cleanse of all the Council gullies by neighbourhood once a year, those on classified roads twice. There is also responsive gully cleanse of any gullies reported as blocked by residents or council inspectors. 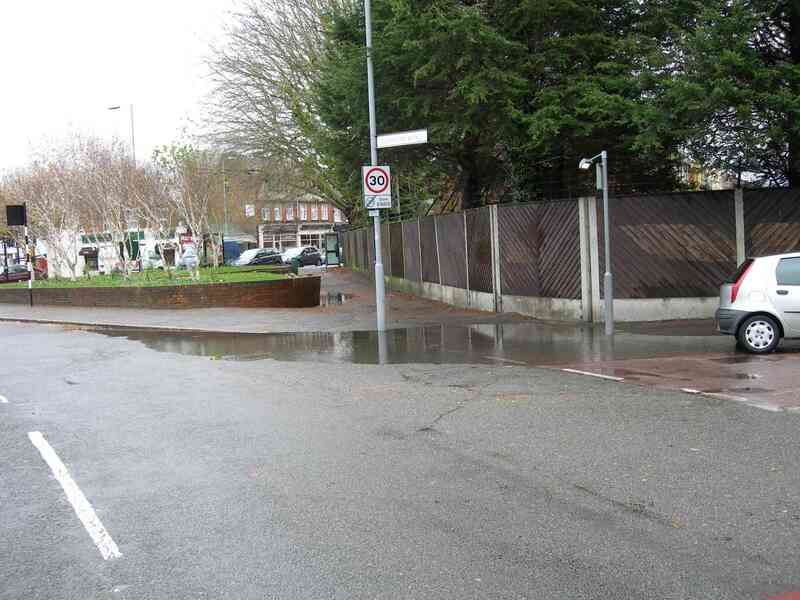 If you have noticed a blocked drain or road pavement flooding or there is a drain that you suspect is blocked/not freely running away, please contact us or RBK Environment Call Centre on 020 8547 5560. EBRRA are requesting a record of gully cleaning in Ellerton and Bond Road.